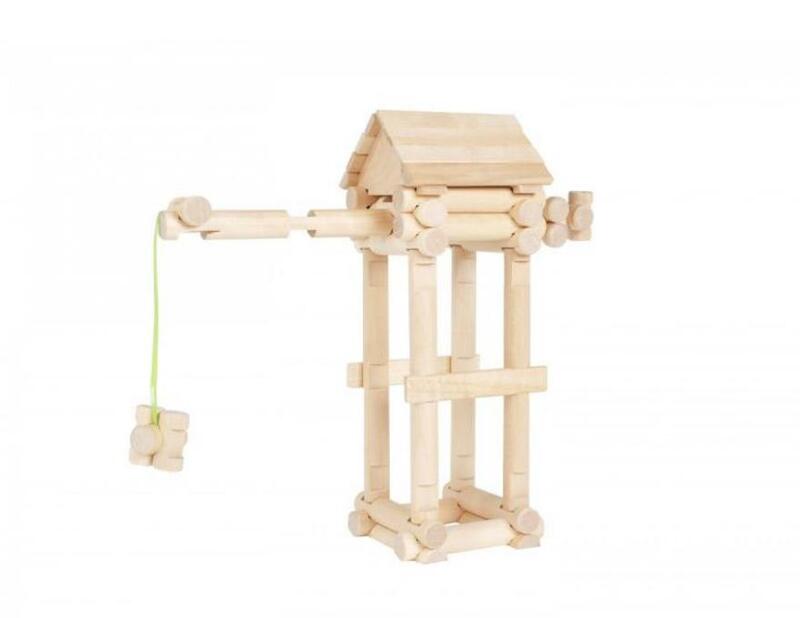 Eco toy made from natural materials. Constructing with wooden blocks in an excellent way to support logical thinking and memory ability. The child can develop their motor skills by constructing an entire world they can later play in.